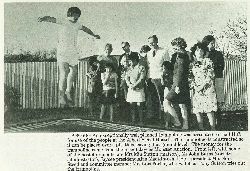 An exceptionally well planned trampoline was presented to the I.H.C. for use of the people at the Albert Street Hostel. The trampoline is constructed so it can be placed over a pit, thus leaving it at ground level. 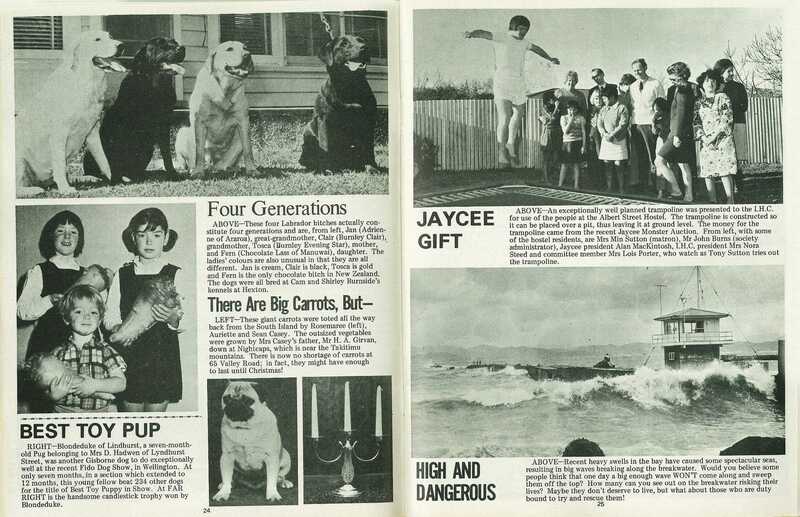 The money for the trampoline came from the recent Jaycee Monster Auction. 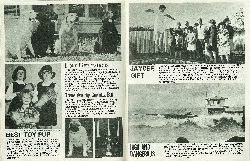 From left, with some of the hostel residents, are Mrs Min Sutton (matron), Mr John Burns (society administrator), Jaycee president Alan MacKintosh, I.H.C. 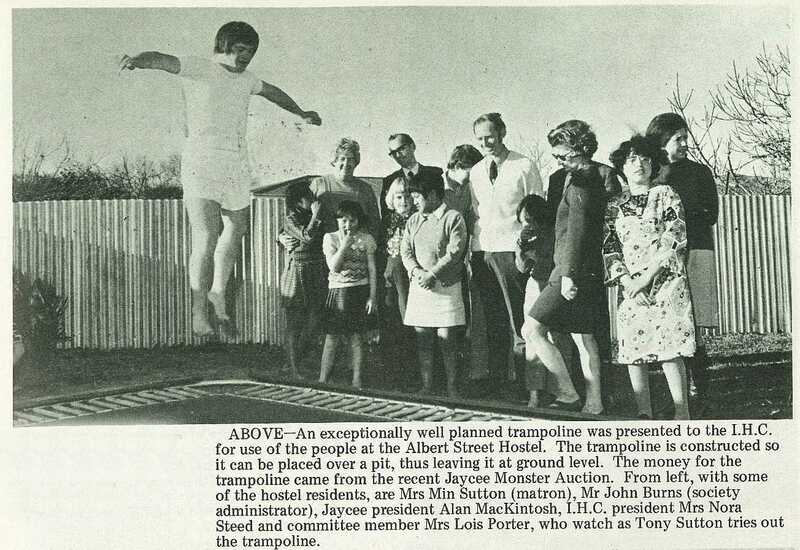 president Mrs Nora Steed and committee member Mrs Lois Porter, who watch as Tony Sutton tries out the trampoline.